CVEDC’s site needed upgrading. It used an older version of Joomla and the Center wanted an easy way to show categorized events and streamline registration. We worked closely with the client to understand how they need their events to display as well as their unique needs for registration. 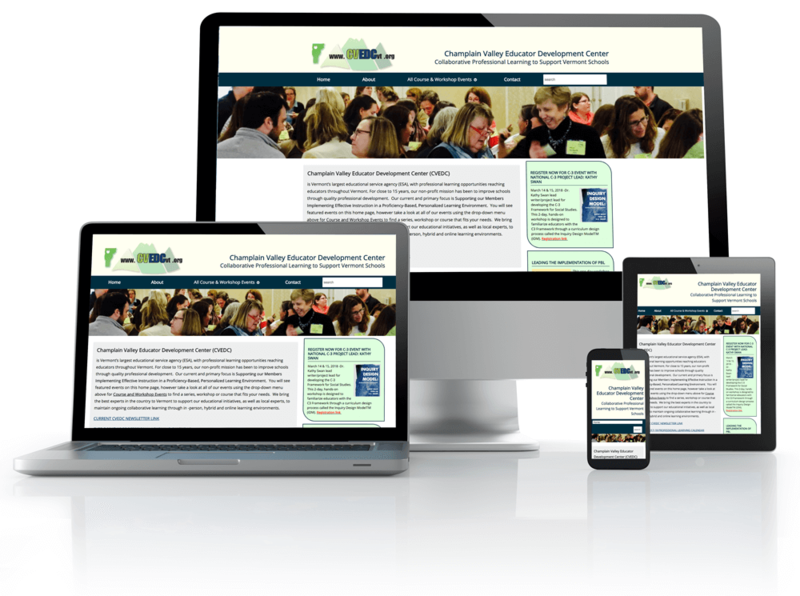 Paragon moved CVEDC’s site from Joomla to a WordPress template with customized plugins. The site’s new calendar plugin allows events be be easily tagged and categorized to enhance searching for events by grade level and discipline. Also, the plugin allows site visitors to view the calendar in different views, from a more traditional calendar format to a visually appealing posterboard setting. Each event includes a built-in map and easy-to-download course syllabus. Event registration forms are integrated into CVEDC’s contact and email management software, and formatted for both individual and group registration. 4Web became the Web Development arm of Paragon Digital early in 2016. For more website projects by our development team, be sure to read the 4Web Case Studies and visit the 4Web Portfolio.